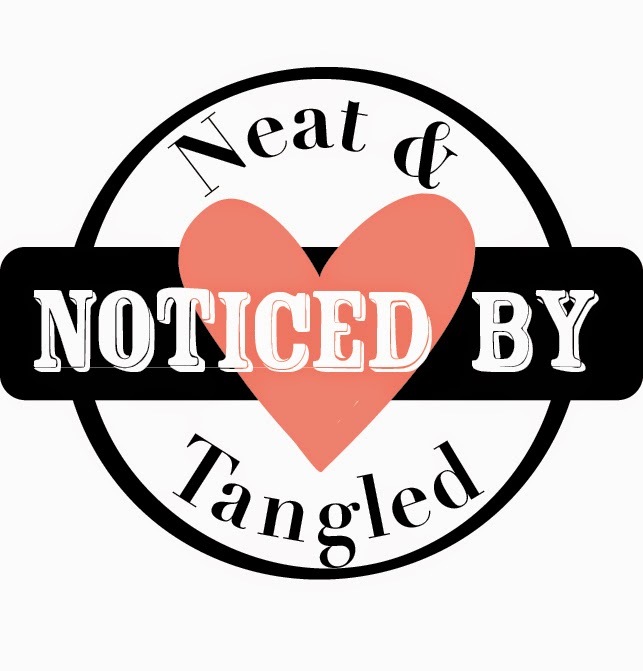 *for my Little Tangles post, please scroll down. Besides that happening, it's been crunch time for back to school stuff. I pretty much have most things done. However I'm waiting on deliveries of their stuff, which all seem to be on different days, even though I order everything at once. Just hoping everything makes it in time before school starts! 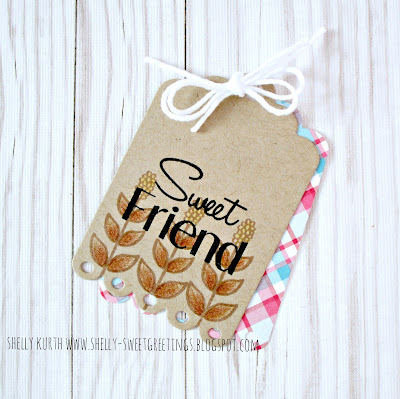 I'm swinging on in to share a little tag for the current CAS-ual Fridays challenge! I kept my tag nice and simple. I'm so very sorry for you and your family's loss my friend. I cannot bring myself to think about loosing my beloved pet that I've had for over 10 years as well. Sending out big hugs to you. Family comes first and stamping will always be here...so hang in there!! I love your tag! Great design and I love the addition of the pattern paper. I'm so sorry for your loss, it's hard to say goodbye to such a special companion. My thoughts are with you. Thanks for joining us at CAS-ual Fridays Challenge! I am so sorry for the loss of your kitty.. Loosing a pet is heartbreaking. Big Hugs.. I am so sorry for your cat! Sending hugs! The adjustment will take time (talking for personal experience), just take one day at a time! On the bight side, I love your tag! Love the coloring on kraft card stock! Sending hugs to you and your family in the loss of your kitty. I had two miniature schnauzers, years ago, and not a day passes that I don't think of them with deep love and yes, deep missing. I understand completely your sense of loss. As for the tears: natural and needed. They'll help your heart to heal...and remember. On the plus side: your tag is charming! Colouring on kraft is so pretty!